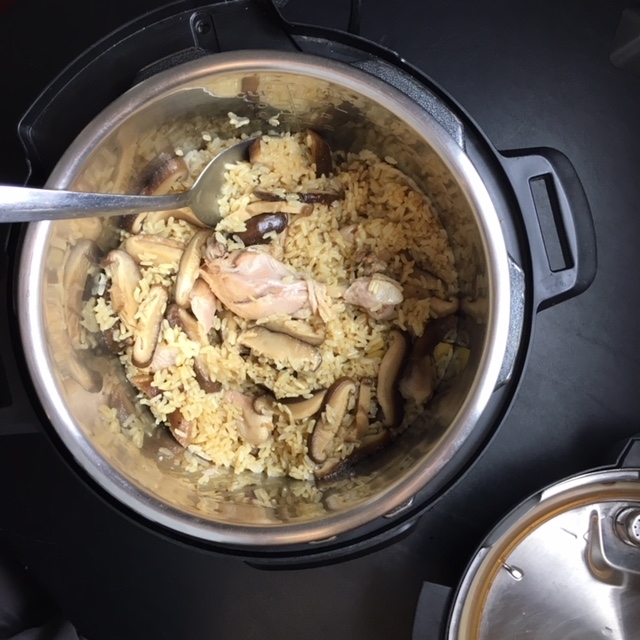 Pour rice into Instant Pot, add broth or water. Mix in marinated chicken and mushrooms. 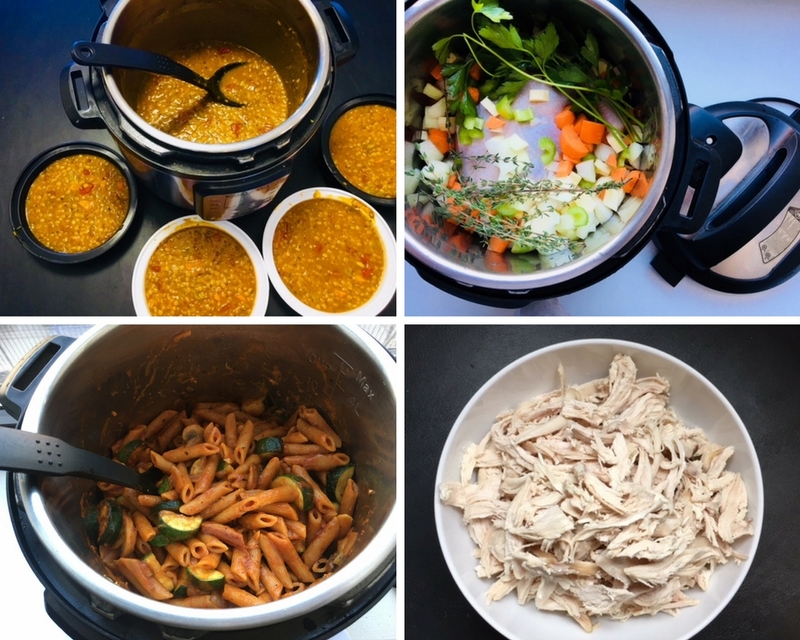 Switch Instant Pot to Manual Mode and cook for 22 minutes at high pressure. When 22 minutes is up, let the pressure come down naturally. Open the lid. Stir and mix. Season to taste with tamari or salt.